The objective was to provide a highly efficient system, to give maximum output with limited roof space. In order to utilise as much roof space as possible, the south and west facing elevations were to be used. 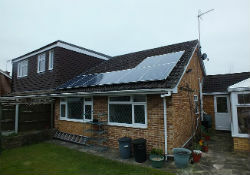 The client had an existing installation, not installed by EnergyMyWay, which appeard to be generating less than expected. 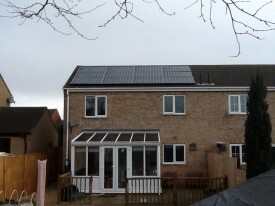 The solar panels were positioned on the east and west facing roofs.The installation company had ceased trading and the system was out of warranty. 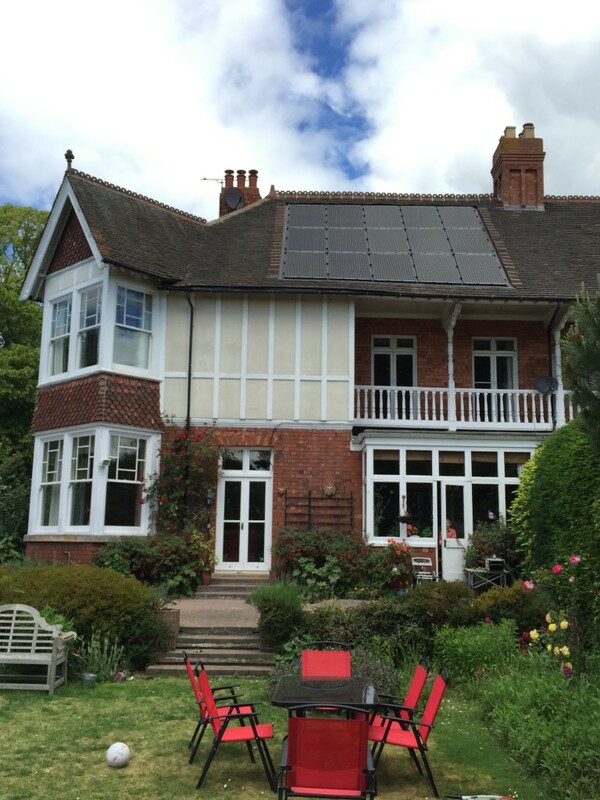 We were asked to take a look and our survey identified potential problems in respect of shading which would affect the performance of the east facing panels. 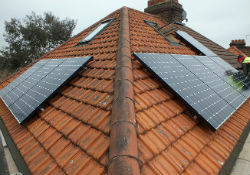 The panels had been installed on the lower section of roof, which later in the day would be affected by shading from the neighbouring two story property at the bottom of the garden. To make matters worse the client’s property was downhill from the adjacent property. We also identified that some of the fixings had not been installed correctly. 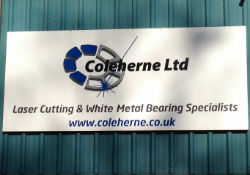 The client wanted to generate as much electrical energy as possible, to safeguard against future energy cost increases. 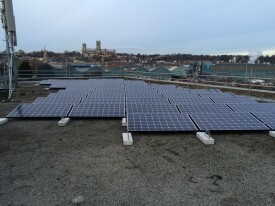 The client also wanted the capability to monitor how much energy was being produced, so that he could use the energy to its best effect without exporting back into the grid. 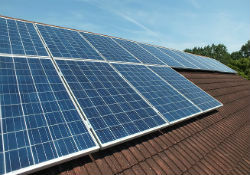 The client has a property with high electricity consumption. 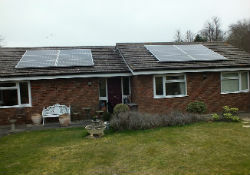 He already had a 4 kWp system installed, and was looking to increase energy generation to offset high electriciy bills and to secure an income from the Feed in Tariff. 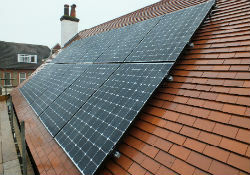 The client was aiming to achieve as high as possible generation to safeguard against future electricity bill increases. 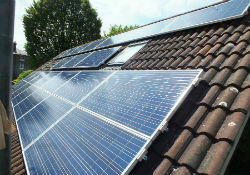 Our Solar Panels Hertfordshire expert surveyed the property and made recommendations to the homeowner.